Several thousands of people took to the streets of Atyrau, Aktobe and Semey late last month to protest against the new land law proposed by the cabinet of ministers. The law allows the Kazakh government to lease land to foreigners for up to 25 years. This clause was considered by protesters to be an infringement upon the sovereignty of Kazakhstan. What makes this protest notable is that, for the first time in the history of modern Kazakhstan, the protests resulted in something meaningful. 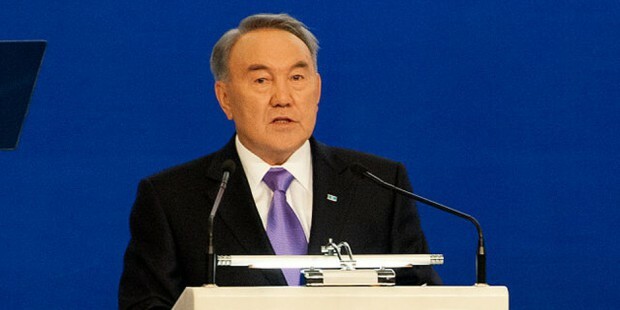 Nazarbayev postponed accepting the new land law and put a moratorium on it. Despite the protest being against the particular clause in the new law, there was, more generally, a significant anti-Nazarbayev mood among the protesters. People were shouting “get out Nazarbayev” and “shal ket”, which roughly translates to, “leave the office, you are too old”. Activists were arrested by government officials and surveillance of social networks has since been tightened – a move that is considered to be a further restriction of free speech. From the latest events in Kazakhstan, one can draw the conclusion that tensions are beginning to mount between the population and Nazarbayev’s never-ending dictatorship. The only thing which is saving Nazarbayev from being overthrown is the stability his government provides for the country. Most people in Kazakhstan tend to forgive Nazarbayev’s crimes as long as he is a guarantee of stability. The reality is that people tend to die and there is no obvious candidate for a successor. The problem with succession is a common one amongst Central Asian countries ruled by dictators. However, the main difference for Kazakhstan is that it has large amounts of oil. Moreover, in the last five years, the danger of terrorism has become a real problem for the country as radically oriented Salafi groups have been increasing. Taking this into consideration, the above-mentioned factors make it doubtful that there will be a peaceful democratic transition in Kazakhstan. Nazarbayev is currently 76 years old. As he gets older it will be more and more interesting to watch the Kazakhstani politics.